Daniel Kehoe is a former writer and editor at PC WORLD and NeXTWORLD magazines, who is known for a lively and entertaining writing style. He is well-known in the Rails community for the popular RailsApps project, which offers tutorials and example applications for professional Rails developers. If you’re new to web development, I recommend Daniel Kehoe’s excellent Learn Ruby on Rails book. Learn Ruby on Rails is the gentlest introduction to Rails that I know of, so it’s a great place for beginners to start. Learn Ruby on Rails is a great book for anyone starting to learn web development, giving you the context and explanations at the right time in an encouraging way. Is the book available for free? Yes! An online (HTML) version of the book is available for free on this website. Or buy an ebook bundle containing PDF, Mobi (Kindle), and ePUB (iBooks) formats for only 99 cents. Is there a charge for updates? The book is updated regularly at no extra charge. What is the difference between these books and Michael Hartl’s Rails Tutorial? Daniel Kehoe’s books are intended for a beginner who has no experience with web development or programming. The books provide preparation and guidance that make it easier to get the most out of more advanced tutorials. Is the book on Amazon the same as the book on this website? The book on this website is the same as the book on Amazon (though sometimes Amazon is slow to update the book). The Amazon book is only available in a Kindle version and costs 99 cents. This website offers PDF, Mobi (Kindle), and ePUB (iBooks) versions of the book for 99 cents as well as a free online edition. Is this one or two books? The book was first published as a single book and expanded into two books in 2016. The online edition of Book One is available here for free (or buy an ebook bundle for 99 cents). Use the invitation code included in the first chapter of Book One to obtain the online edition of Book Two for free. What is the difference between Book One and Book Two? 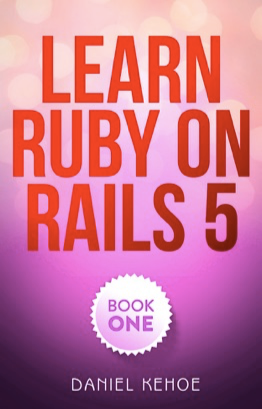 Book One covers basic concepts and provides a study guide for learning Rails. 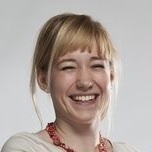 It introduces the culture and practices of the Rails community. It also provides a strategy for bridging the gap between following tutorials and writing your own applications. Book One can be read at leisure with a tablet or smartphone, without a computer. Book Two requires working at a computer, following a step-by-step tutorial. Are the books up to date? Book One describes current practices in Rails development, including the newest Rails 5 version. The Book Two tutorial is written for the latest stable version of Rails. It is accompanied by an example application on GitHub that is kept up to date. Get the book that is called “The best Rails book for beginners,” for a solid start on Ruby on Rails web development. No other tutorial does a better job of explaining the concepts. Master the basics. Learn the practices you’ll use in the workplace as a professional Rails developer. And follow a roadmap that sets you on a path to building your own web applications, not just following tutorials. This book is written for YOU if you are new to Ruby on Rails and you’ve got experience with the web and need to learn Rails; you don’t know how to program – but want to learn; you want to build an application; you want to start a career as a professional web developer.